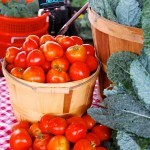 If you had to pick between getting some delicious fresh, locally grown tomatoes or staying out of the rain, which would you do? 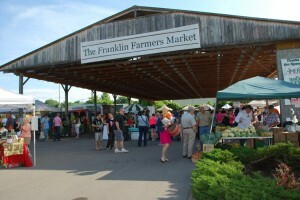 Apparently, quite a few of you would pick the tomatoes, along with all the other good food at the Franklin Farmers Market. 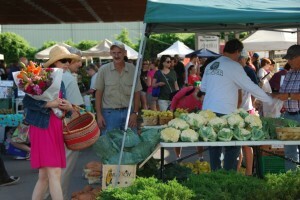 This past Saturday, there was two or three rain showers that hit, but that didn’t stop anyone from visiting the market. 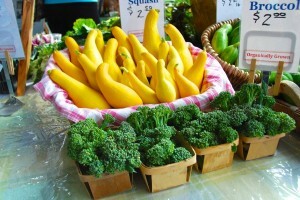 After all, there were a lot of summer veggies and fruits at the FFM, ripe and ready to eat and enjoy. 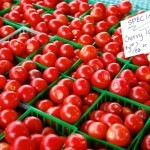 There were locally grown tomatoes that tasted like a tomato should and fresh green beans too. 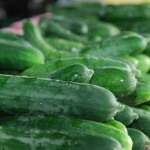 Cucumbers, squash and okra were plentiful, along with tender lettuce, peppers and potatoes – there was a really big selection of fresh vegetables to choose from. 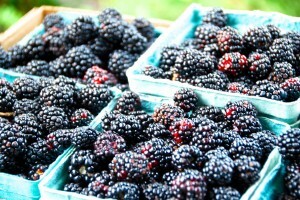 And for berry lovers, there were lots of blackberries and blueberries. 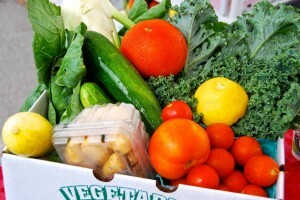 Plus sweet juicy peaches too! 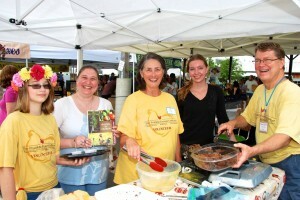 All of that good food put some big smiles on lots of faces. 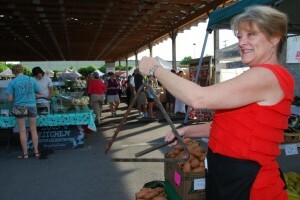 Check out the market’s photo gallery and see what we mean. 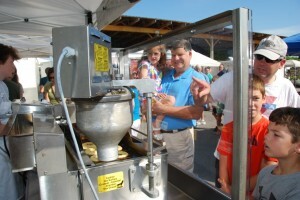 A lot of you also enjoy getting a bite of the French toast samples at the FFM. 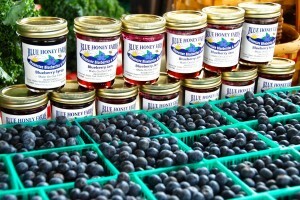 The sweet treat was made from the “secret recipe” chocolate bread of Jones Mill Farms, Hatcher Dairy milk, Moonshadow Farm eggs and topped with honey from Johnson’s Honey Farm or blueberry syrup from Blue Honey Farm. 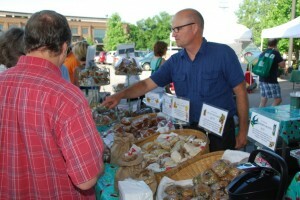 It was a tasty example of what can be made with ingredients from the market. 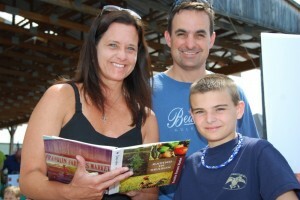 Several of you also picked up a copy of the FFM’s “Eating in Season” cookbook, which is packed with recipes made from the fresh food at the market. 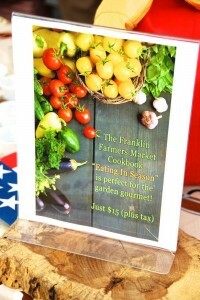 The “Eating in Season” cookbook is available every Saturday at the FFM Info booth at the front of the market for just $15 plus tax. 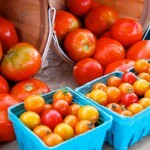 With all of the tomatoes that were flying out of the market this past Saturday, it was real easy to see that locally grown tomatoes are at the top of the list when it comes to summertime veggies. 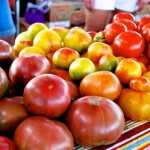 That’s why we celebrate with the FFM’s annual TomatoFest. 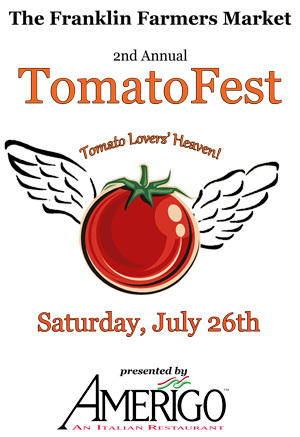 Mark your calendars for July 26th and look for more details on TomatoFest later this week! 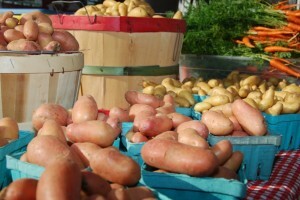 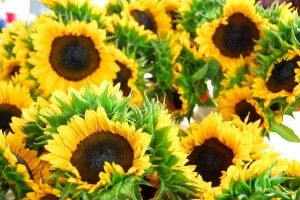 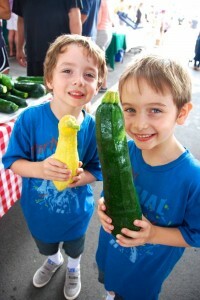 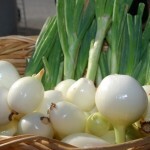 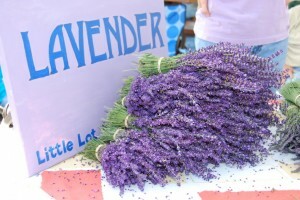 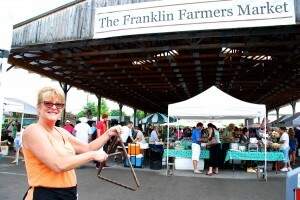 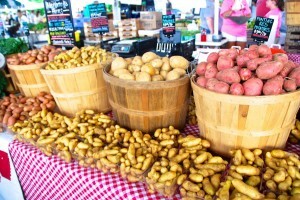 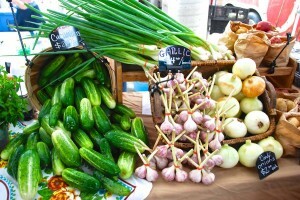 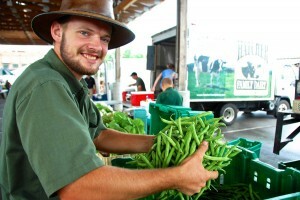 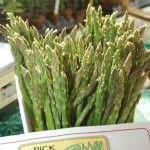 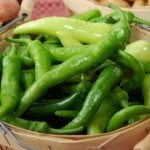 And don’t forget to check out the Franklin Farmers Market Photo Gallery to see if you see yourself, family or friends. 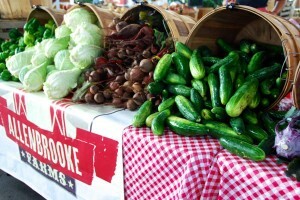 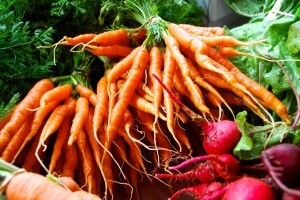 It was a wonderful day at the market with so many new fresh veggies coming to our farmers market. 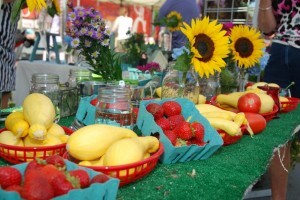 This entry was posted in Market Saturday News and tagged Franklin Farmers Market, locally grown tomatoes, tomatoes on June 30, 2014 .